Well another Wednesday has rolled around and I don't feel like I've achieved much that I haven't already shown you. Once I'd measured it against me I decided to add another diamond motif. 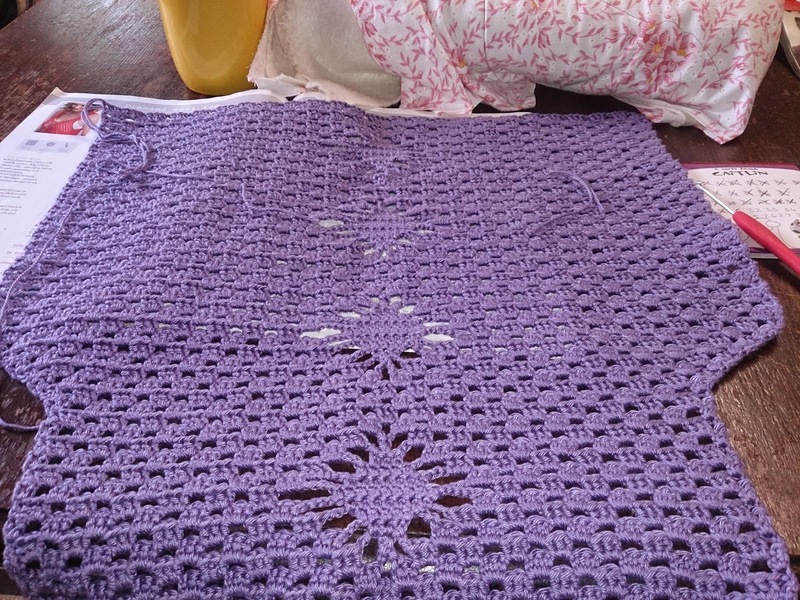 So although the back is finished according to the pattern it's not according to me. This will take a while! I'm changing up the pattern as I go to suit me which could mean an absolute disaster or it could be amazing. 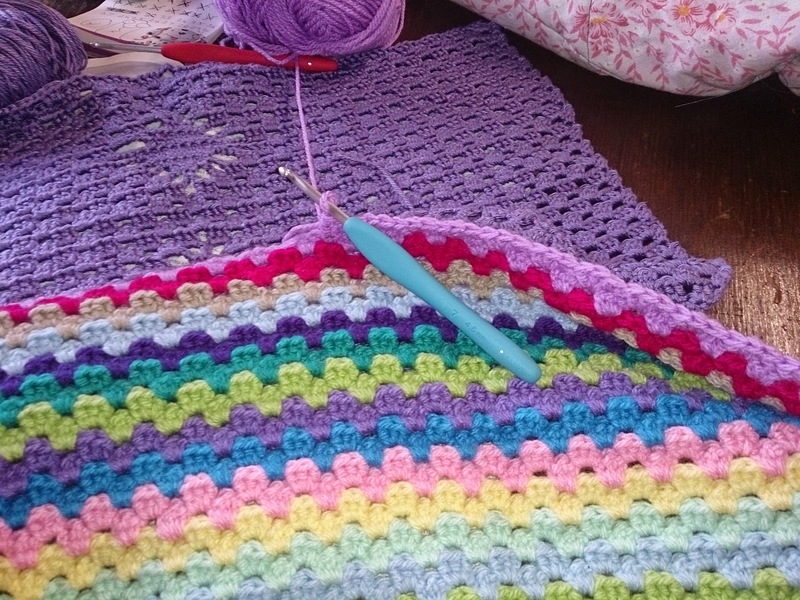 I also worked a little on my blanket this morning I did about half a row before I gave up. I just wasn't in the mood this week. You can see here that I'm using my new hook which I absolutely love! I'm not sure how I survived without it before this! I also couldn't decide what I wanted to work on so both projects were out. I didn't have my cross stitch with me ... but I wasn't really in the mood. They both look great Caitlin.